Newly released highly anticipated final phase of homes at City Park West. A stylish new retreat in the heart of a historic city, the highly anticipated phase two of City Park West will deliver over 300 new homes, alongside new commercial and retail space. There are apartment layouts and sizes to suit all lifestyles with the first release of new homes located in Waterhouse Court on Victoria Road South. Available to purchase with Shared Ownership, purchasers are able to buy as much of the property as they can afford, from 20 - 75%, paying a low cost rent on the remaining unpurchased 'share' of the home. What's more, your mortgage deposit is based on the value of the share you buy, not the full market value, making these high-spec homes even more affordable in the heart of Chelmsford. 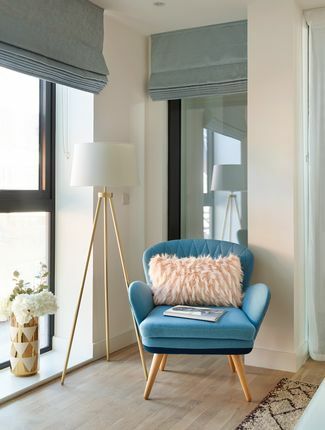 Apartments at City Park West offer modern layouts with spacious open plan living areas, underfloor heating and triple glazing. Kitchens are in stylish cashmere gloss with contemporary chrome fittings and integrated Bosch appliances. Bathrooms come with contemporary grey tiling and Duravit fixtures. Many apartments have a private balcony. For your security, every apartment features a video entry system, and all apartments will benefit from a concierge service located in Norman Court. Viewings by appointment only - appointments available on Wednesday, Thursdays and Saturdays - contact us today. Property descriptions and related information displayed on this page, with the exclusion of Running Costs data, are marketing materials provided by Notting Hill Genesis - City Park West, and do not constitute property particulars. Please contact Notting Hill Genesis - City Park West for full details and further information. The Running Costs data displayed on this page are provided by SmartNewHomes to give an indication of potential running costs based on various data sources. SmartNewHomes does not warrant or accept any responsibility for the accuracy or completeness of the property descriptions, related information or Running Costs data provided here.